Last year I had a very telling dream which I’ll never forget, as it marked an important shift in my life. At that time, I was staying at a friend’s house in Tempe, AZ. She had invited me to attend a summit organized by the company she works for as a business coach. I had the dream the night before we were supposed to attend the registration event, which would be followed by a business Meet & Mix. One of my goals for that event was to network and generate new business opportunities. In the dream, I was attending an event or gathering with this friend of mine. During the event, she was trying to hook me up with a man; so she approached a cute young guy and pointed me to him. At first he seemed interested; but the room was dark, so he saw mostly my silhouette and pleasing body shape. But when he approached and saw me at close range, he became distant and dry, barely polite. He then pulled my friend to the side and told her he wasn’t interested, after all. And I knew it was because I looked too old and not as attractive anymore. Needless to say, I didn’t have a great feeling of confidence when I woke up the next morning, or when I finally attended the business mixer for real that evening. At 56, I feel comfortable with my looks (or so I thought); I actually believe I look good for my age; maybe even a bit younger than my years. I’m also happily married and certainly not “looking.” In addition, I’m aware that dreams such as this one are never literal, so I knew that my subconscious was clearly pointing to another kind of insecurity through my dream. It’s no coincidence that I had this dream the night before attending the business mixer, and I came to realize something important: I was wrapping my age and attractiveness around my perception of how professionally marketable I am these days, or how much more I should be aiming to expand my professional role and business ideas at my age. I realized that, in spite of everything I’ve accomplished in my life so far, and everything I’m still in the process of accomplishing, I had bought into the “I’m too old and my life is pretty much over now that I’m menopausal” cultural myth, and was having a hard time finding (or acknowledging) my new place in the world. In other words, the insecurity and self-doubt were related to how attractive I perceived I was (or perhaps wasn’t anymore) as a career professional or entrepreneur. Although this stigma felt real to me at the time, and still is very real for many, things have certainly changed a lot from the times when people (women in particular) were expected to hang up their boots at a certain age. With trending attitudes such as “50’s are the new 40’s,” “60’s are the new 50’s,” etc, we see more and more middle-aged people embarking on self-discovery journeys, going above and beyond normal expectations for their age group and even becoming inspirational leaders in many different industries. In fact, we could say that the middle has become the new beginning. It’s the new mid-life phase when a lot of people find themselves finally free of life’s incumbencies and choose to take bold steps towards a journey of self-empowerment, by being true to themselves and claiming their own place in the world. need of change. And they are certainly better equipped to deal with technology and its consequential overload of information and stimuli than we are, among other things. On the other hand, we bring the kind of life experience that younger people can only dream of at this point in their lives; and that includes how to be a (mostly) functional adult. So we actually can work well together and help each other. - Get some perspective. This brings me to another important point in relation to how we can sabotage ourselves, and that is our tendency to compare ourselves; and not just to Millennials and other younger generations, but also to anyone else whom we perceive as having achieved more and become more successful than we are at our own age. If the goal of the comparison were meant as a form of inspiration, that would be just fine. But that kind of comparison is often loaded with guilt, shame and self-deprecation for not having done more with our lives, which can often feed into our insecurity and self-doubt, and in turn lead to feeling paralyzed and afraid to move forward. So stop comparing yourself to others! You are a unique individual, and your path is meant to be different than anyone else’s. Remember, only you can do what you do just the way you do it! - Get healthy. This should be the next step, before moving forward with your goals. For instance, if you’re suffering from the many symptoms that come with menopause (namely, hormonal imbalances that cause mood changes, insomnia, lack of energy, hot flashes, etc), do some research about hormone replacement therapy, diet and exercise, and everything else that can help balance your hormones. In my case, along with dietary and other life-style changes, I decided to try a plant-based progesterone cream which has been working quite well for me. If you have other (or more serious) health challenges, this step is even more important. Do what you know you need to do to achieve and maintain a healthy state of mind, body and spirit, to the best of your ability and circumstances. - Get self-care. Although this is part of getting healthy, it deserves special emphasis due to the fact that many of us neglect ourselves in that department. We are so used to putting everyone else’s needs first, that giving priority to our well-being (which includes our own career goals and life paths) might sound like an alien concept. So spend time and resources doing those things that you know make you feel much better and help maintain your sanity. Yes, it’s ok to finally put yourself first. - Get updated. To become more marketable and effective, it’s a good idea to find out what would help you get even better at what you do or have done in the past, and then go for it. Take classes, watch webinars, get some training on new technology, etc; and have fun in the process! Learning keeps your brain young. - Get busy. 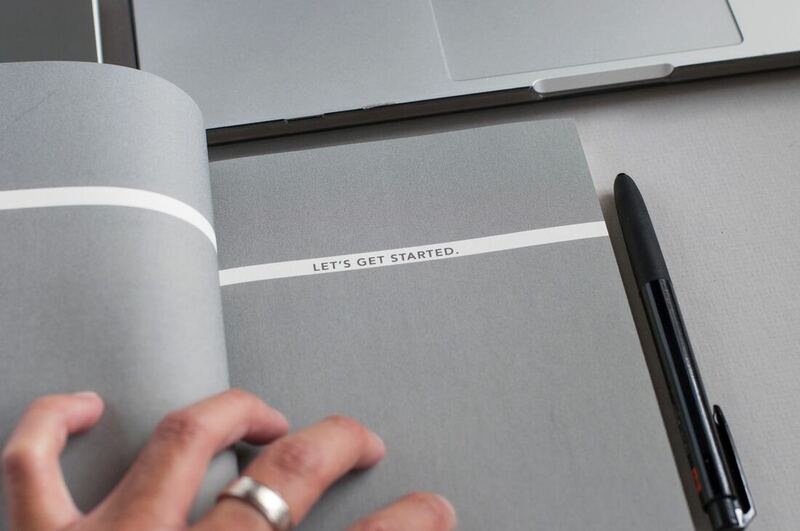 Rather than getting lost in all the planning and list-making, take some solid steps. As Marie Forleo suggests, focus on progress and results, instead of perfection. By the way, if you consider yourself a perfectionist, you might want to read the article below. - Get support. No one can do it alone! Join a group or create one yourself, enroll in community activities and events, volunteer, etc. Also, reach out to successful professionals in your field. Choose your role models and mentors carefully, however. Are they all about image? Look for authenticity! - Get going. The Dalai Lama said that the “Western women will save the world.” There’s no question that a powerful revolution has begun; it’s all around us. So you can start by asking the following question: What do you believe your place or role in this revolution is? What’s been tugging at your heartstrings for a while? It doesn’t have to be big to be meaningful! - FINAL THOUGHT: Get gutsy and get started! After all, what do you have to lose?